The Boynton Chapel is a small wooden chapel built in a late 12th-century Norwegian stave church (Stavkirke) style. 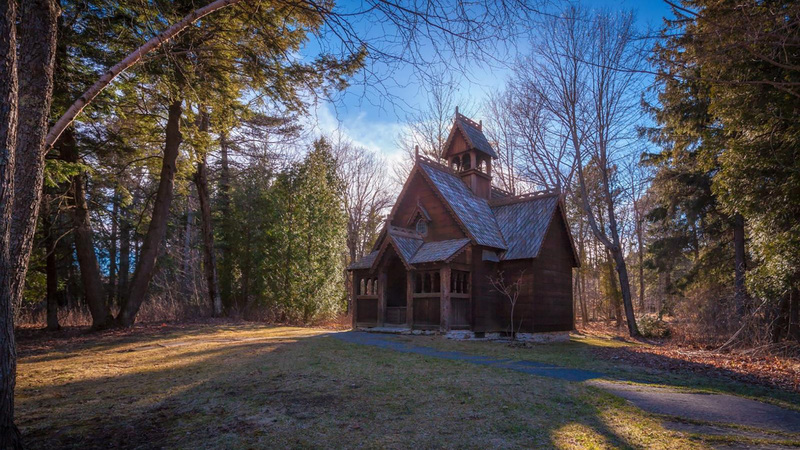 Handcrafted by Winifred and Donald Boynton between 1939 and 1947 on the grounds of their summer residence, the chapel is modeled after the Garmo stave church at Maihaugen in Lillehammer, Norway. A popular site for weddings and a favorite stop among Door County tourists, the chapel contains 41 hand-painted frescoes and numerous exceptionally fine carved-wood furnishings.